Prof. Srinivasa Kumar N Acharya. 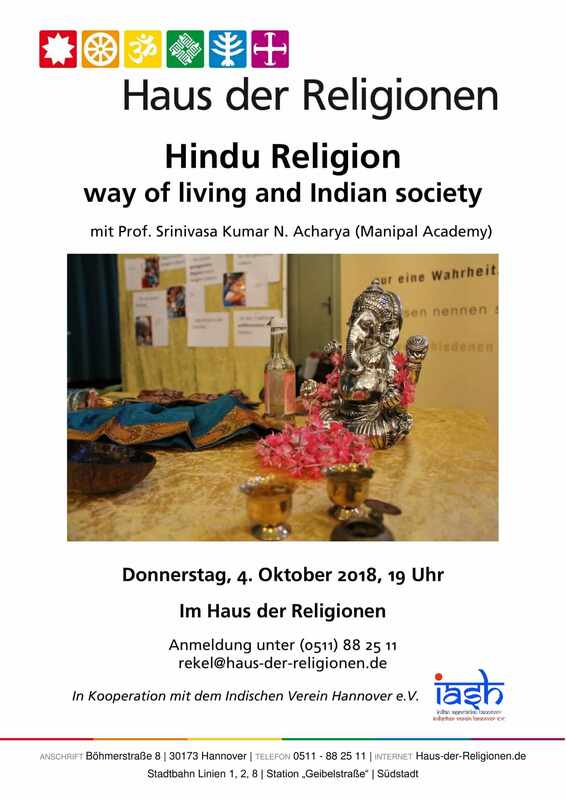 The Indian Association Hannover in cooperation with the Haus der Religionen, Manipal University of Higher Education and Leibniz University Hannover organized a special Talk on Hindu Religion, way of living and Indian Society on 4th October 2018, in Haus der Religionen, Hannover. 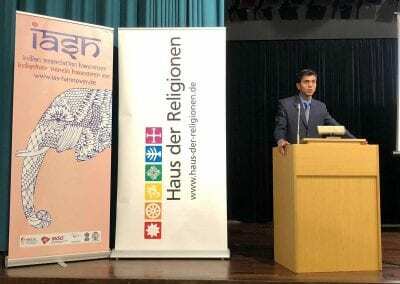 Prof. Srinivisa Kumar N Acharya, from the Department of European Studies at the Manipal University gave his insights on the Hindu Religion, way of living and the Indian Society. 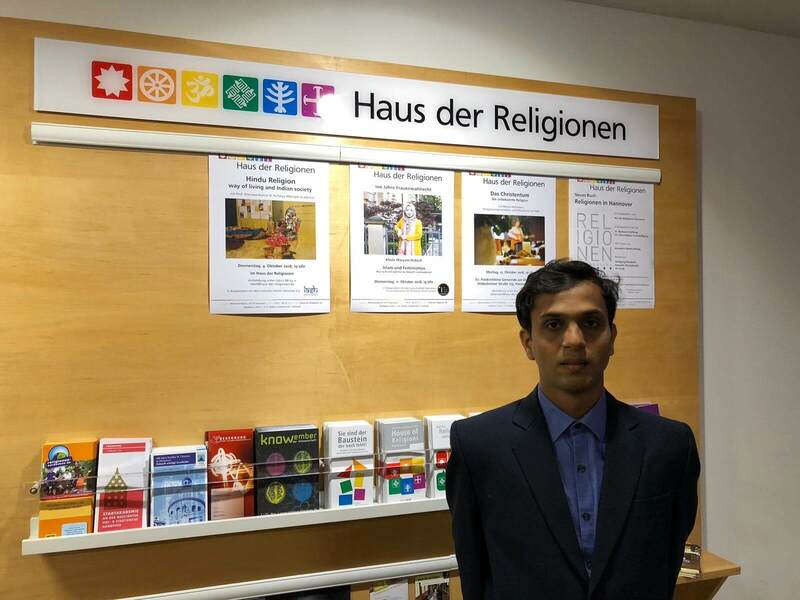 Prof. Acharya is an Assistant Professor and Center Coordinator of Dvavita Philosophy Resource Center, Dept. of European Studies, Faculty of Humanities and Social Sciences at the Manipal University, India. 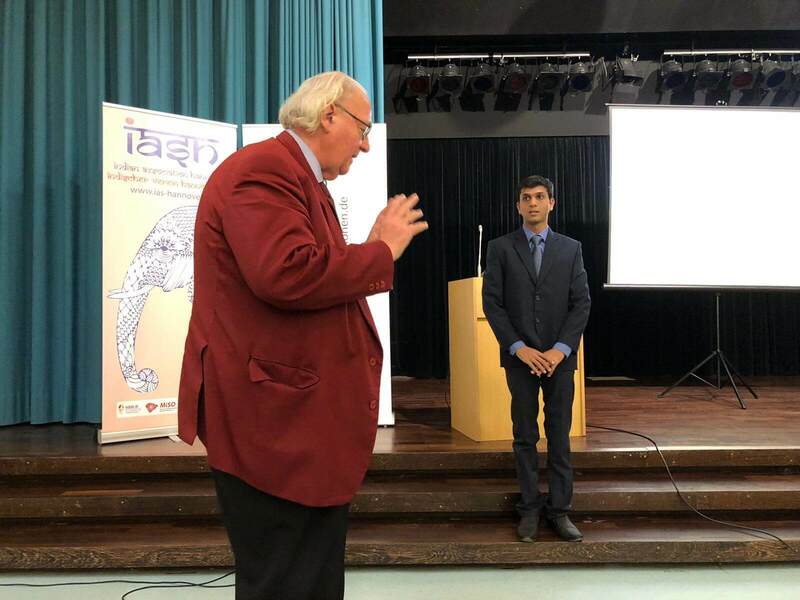 He highlighted various aspects of the roots of the Hindu Religion and its importance in the Indian Society and Culture. A highly literate educator who has studied all throughout his career in Sanskrit shared his thoughts on what Upanishads mean in the Hindu Religion. 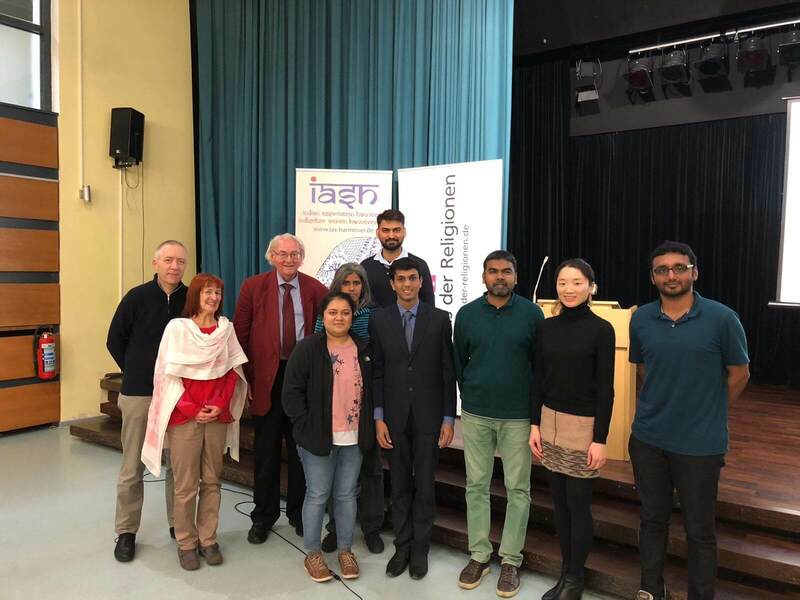 The audience which consisted of people including experts of studies of different religions, Indians as well as Non-Indians, were highly delighted to learn about the insights from Prof. Acharya. 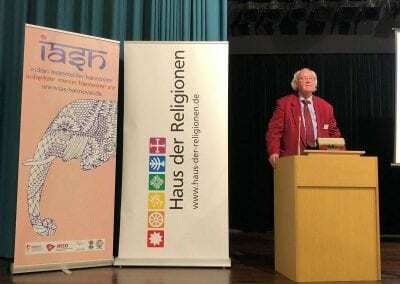 Prof. Dr. Peter Antes, Institute of Theology and Religious Studies who played a key role in the organization of this event as a cooperation between IASH, Manipal Uuniversity, Leibniz University Hannover and Haus der Religionen expressed his interest in further cooperation and events with collaboration of these institutes. 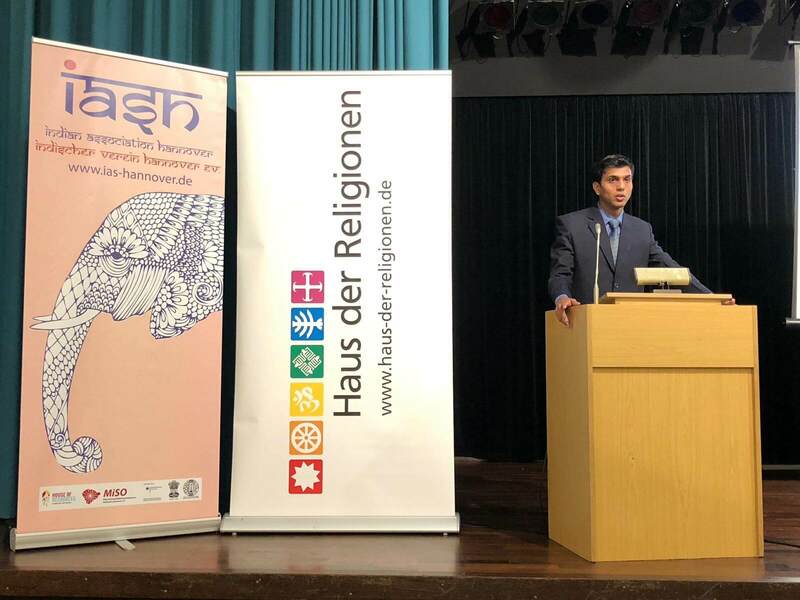 IASH is thankful to Manipal University, Haus der Religionen and Leibniz University Hannover for helping us organize this event. IASH would heartily like to invite you to the talk on Hindu Religion:way of living and Indian Society by Prof. Srinivasa Kumar N Acharya. 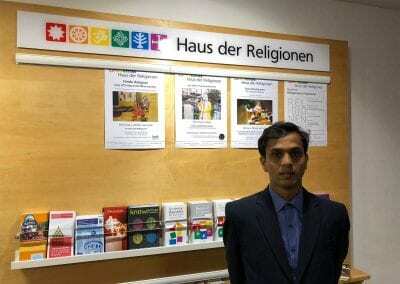 Prof. Srinivasa Kumar N Acharya is an Assistant Professor and Centre Coordinator of Dvaita Philosophy Resource Centre, Dept of European Studies, Faculty of Humanities and Social Sciences, Manipal University, Manipal. He is an Administrative Coordinator of the Dept of European Studies and extends his services to the Centres, Committees, Programs and Activities of the Dept. Along with that, he also works with Manipal University Press. 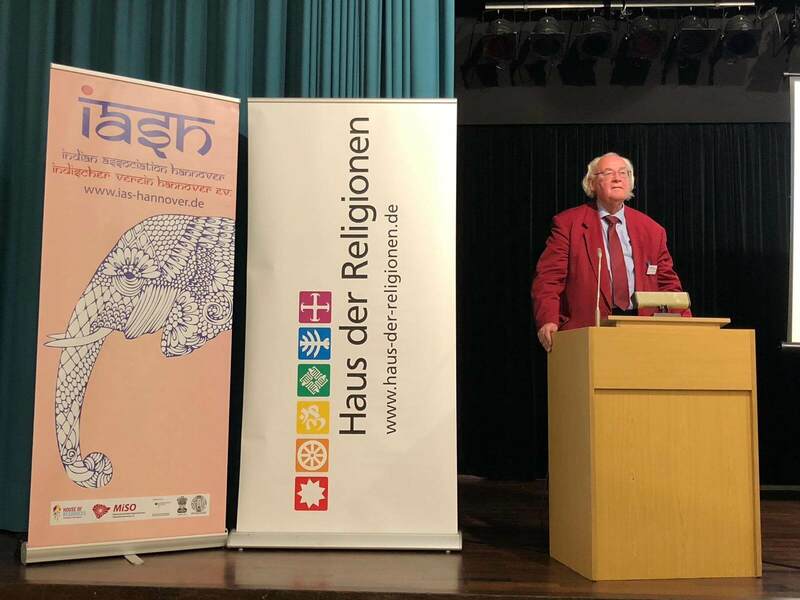 What is considered as a religion today is precisely one of the oldest living civilisations, which predominantly scans the Asian subcontinent known as Hinduism or Hindu Dharma. This school of thought emphasises the spiritual importance of the Self and World. Fundamentally, it questions the identity of Self and offers interesting insights into the interplay of self and world. As a way of life, it endows with pluralistic and multicultural perspectives and illustrates a context-based approach through its classical literary pieces.